For me, I was somebody who was a smart young guy who didn’t do very well in school. The basic system of education, I didn’t fit in; my intelligence was elsewhere. They call him the Boss. Well that’s a bunch of crap. He’s not the boss. He works FOR us. 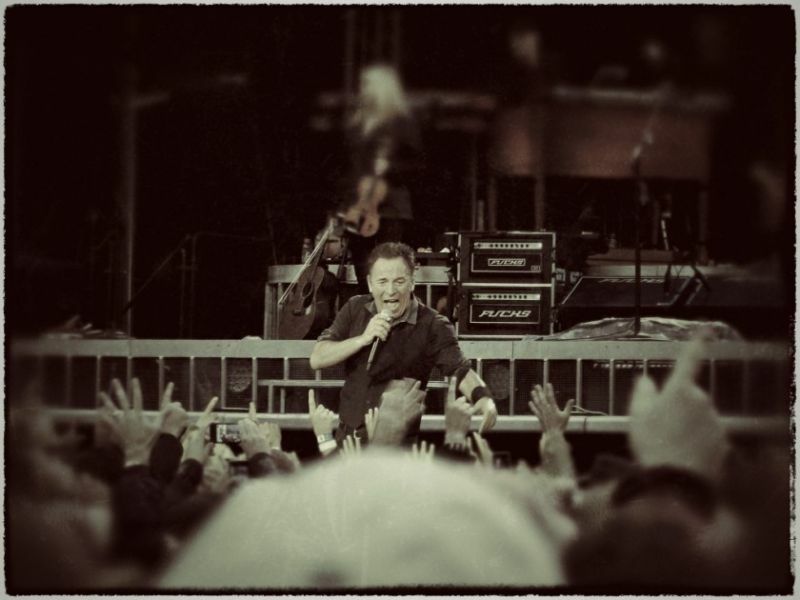 More than a boss, he’s the owner, because more than anyone else, Bruce Springsteen owns America’s heart. Bruce Frederick Joseph Springsteen (born September 23, 1949), nicknamed “The Boss“, is an American singer-songwriter and multi-instrumentalist who records and tours with the E Street Band. 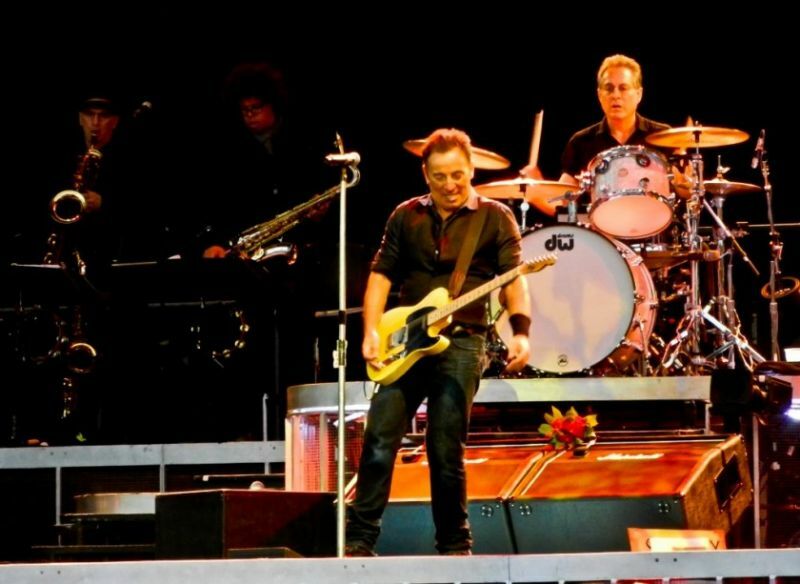 Springsteen is widely known for his brand of heartland rock, poetic lyrics, Americana sentiments centered on his native New Jersey and his lengthy and energetic stage performances, with concerts from the 1970s to the present decade running up to an uninterrupted 250 minutes in length. Springsteen’s recordings have included both commercially accessible rock albums and more somber folk-oriented works. 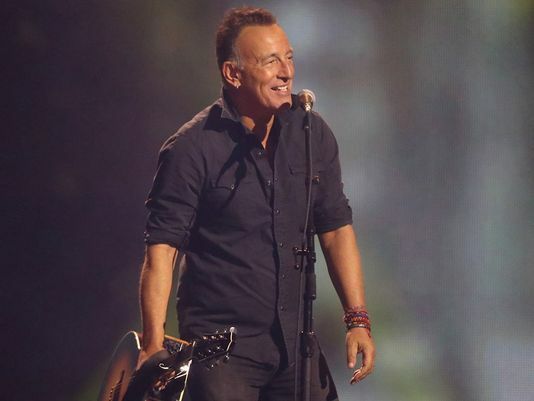 His most successful studio albums, Born in the U.S.A. and Born to Run, showcase a talent for finding grandeur in the struggles of daily American life; he has sold more than 65 million albums in the United States and more than 120 million worldwide and he has earned numerous awards for his work, including 20 Grammy Awards, two Golden Globes and an Academy Award. In 2004, Rolling Stone ranked him as the 23rd Greatest Artist of all time, the 96th Greatest Guitarist of all time on their latest list and the 36th Greatest Singer of all time in 2008. Every good writer or filmmaker has something eating at them, right? That they can’t quite get off their back . And so your job is to make your audience care about your obsessions. 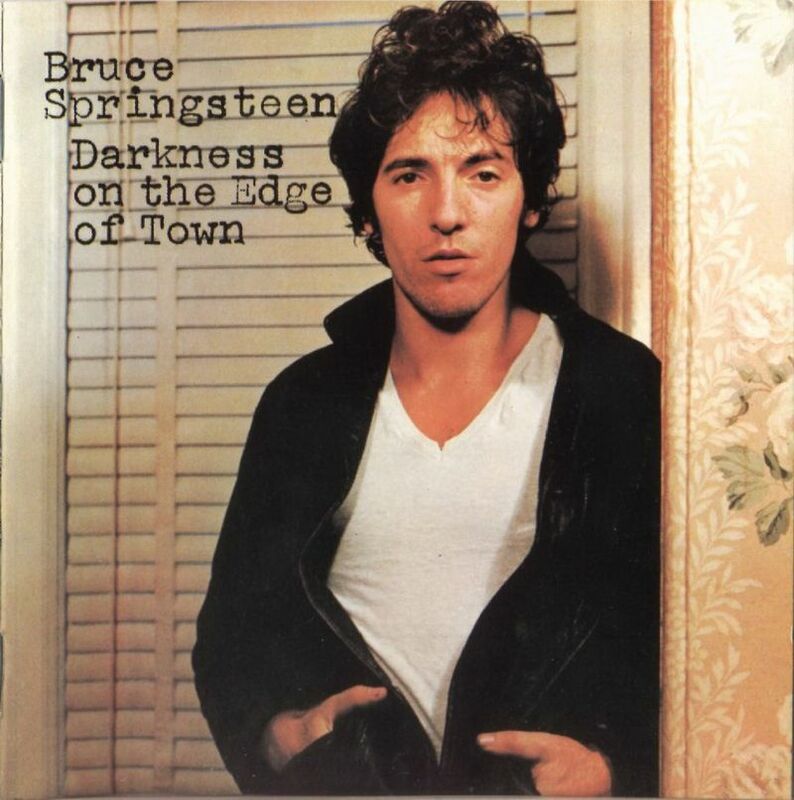 In the decades following his emergence on the national scene in 1975, Bruce Springsteen proved to be that rarity among popular musicians, an artist who maintained his status as a frontline recording and performing star, consistently selling millions of albums and selling out arenas and stadiums around the world year after year, as well as retaining widespread critical approbation, with ecstatic reviews greeting those discs and shows. Although there were a few speed bumps along the way in Springsteen’s career, the wonder of his nearly unbroken string of critical and commercial success is that he achieved it while periodically challenging his listeners by going off in unexpected directions, following his muse even when that meant altering the sound of his music or the composition of his backup band, or making his lyrical message overtly political. Of course, it may have been these very sidesteps that kept his image and his music fresh, especially since he always had the fallback of returning to what his fans thought he did best, barnstorming the country with a marathon rock & roll show using his longtime bandmates. “Born to Run” named “The unofficial youth anthem of New Jersey” by the New Jersey state legislature; something Springsteen always found to be ironic, considering that the song “is about leaving New Jersey”. The minor planet 23990, discovered September 4, 1999, by I. P. Griffin at Auckland, New Zealand, was officially named in his honor. Ranked No. 23 on Rolling Stone magazine’s 2004 list of the 100 Greatest Artists of All Time. Ranked No. 36 on Rolling Stone magazine’s 2004 list of the 100 Greatest Singers Of All Time. Made Time magazine’s 100 Most Influential People Of The Year 2008 list. Won Critic’s Choice Award for Best Song with “The Wrestler” in 2009. Rolling Stone magazine also ranked 8 out of 16 Springsteen’s studio albums in their 500 Greatest Albums Of All Time list. Rolling Stone magazine ranked “Born to Run” and “Thunder Road” in its 500 Greatest Songs Of All Time list, in 21st and 86th, respectively.